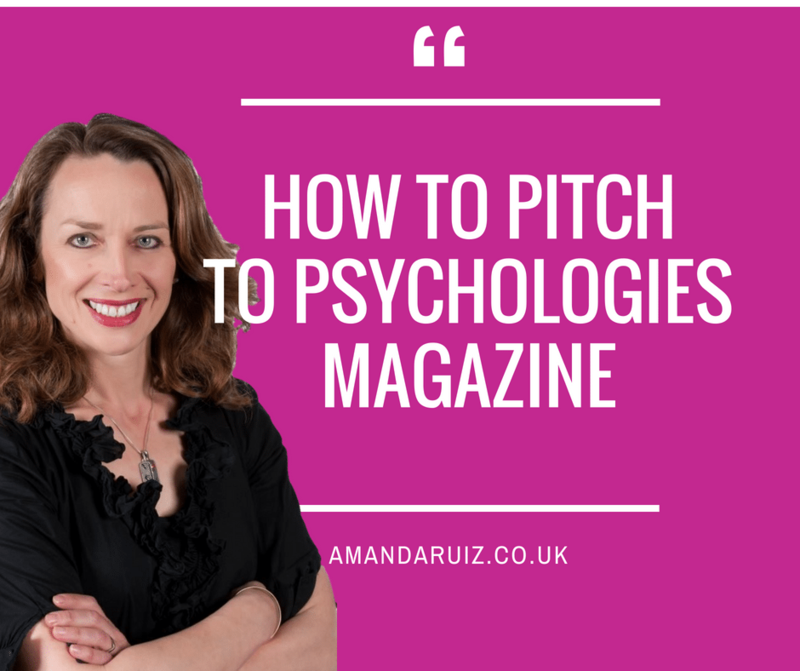 How to pitch to Psychologies magazine. Scroll past the show notes for the video interview. Psychologies Magazine is the UK’s biggest and best-selling mindful living magazine and is one of the key publications people ask me how to pitch an article or how to get featured in it. It’s not surprising really as it is a magazine that always delivers quality content that really cares about YOU, not what is the best handbag or lipstick to buy. It is thoughtful, inspirational and positive. It’s like a ‘best friend looking out for you’ kind of magazine and every time I read it I am inspired to take action. 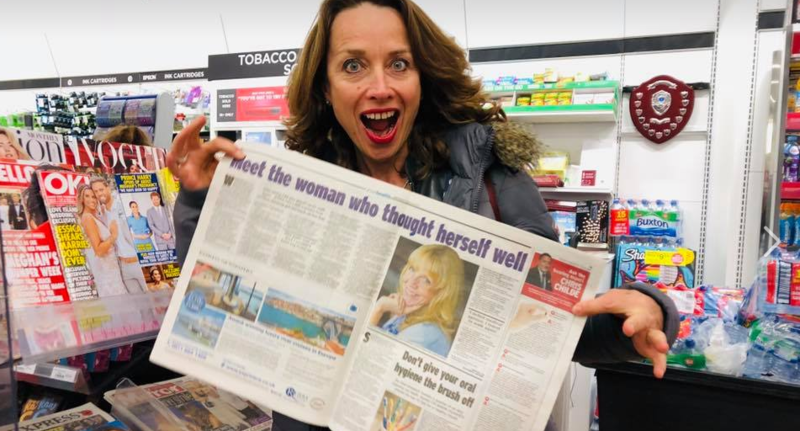 I did the de-clutter quiz and discovered what kind of clutter person I am, and after watching a Facebook Live with an author on De-Cluttering, it had a very positive transformational effect on me – out shopping and in the house! My husband was over the moon when I had finally got around to ‘cleansing’ the laundry room, and each time I go in there, it’s a haven of tidiness, not of glue guns, old magimixes, children’s paint, charity clothes bags, muddy boots, chocolate fountain bought by mistake….does the list need to go on? So whatever your particular issue is, I am sure it’s covered or will be covered. The total reach for Psychologies is 1.9 million of intelligent, aspiring and high net worth women (according to their media pack) so it makes total sense to appear in a magazine that you admire! So the BIG QUESTION is How to contribute to Psychologies? Or better still, How to Get Your Foot in the Door at Psychologies magazine? Take note of the number 1 thing you MUST DO. The reason for this is so that you can get to know it FORENSICALLY and get to know each section inside out over the course of a few months. You will get used to the writing style, the layout and the content and be able to strongly visualize where you may fit in. I call this ‘tuning in’ to the outlet and it is essential to do this as opposed to a blind pitch where you kind of think you know the publication and pitch to the wrong section / wrong journalist / wrong writer! So that will take you a little while to do or you can do it super-fast over a week but – make sure you know what the magazine is all about. And for you, it’s about becoming a Psychologies Super Fan! What will becoming a Psychologies Super Fan get you….? Insider knowledge of where to meet the team members at the various events they put on throughout the year for starters! If you attend any of the events, sit at the front and be engaged with the discussion, hang back afterwards to ask questions and to further meet the team. BUT DO NOT PITCH when you are at these events. This is just to get you onto the team’s radars in a nice and gentle, non-pushy way. As Suzy says in the FB Live I did with her, that is the best place to start as they are on the lookout all the time for fresh writing talent. The pitch…..the editor has around 600 emails a day so you need a pretty punchy headline to get through all the noise. Make it compelling and interesting with a human interest element. Quick tip: look at the front covers of past issues and see what the ‘headlines’ are there….and see if they inspire you. They want content that is real, deep and intelligent, to quote Suzy Walker the editor. Having been a raving fan (and subscriber) of the magazine for years, I feel that the readers would enjoy my piece on xyz. Here is a very brief (100 word) outline. Then a short paragraph on how the piece would look. Close off by thanking them for their time and you look forward to hearing from them in due course. Step 5. Patience. Sit and wait. Advice from journalists is to send no more than 3 emails about one topic. So change up the headline if Email No 1 gets ignored, then change again for Email No 2 and Email No 3 must have such a good headline they can but click OPEN! Your final (fun) tip….Suzy the editor has Oscar the Office Dog and told me on the FB Live that if you put a picture of your office dog, the pitch will be seen!!! 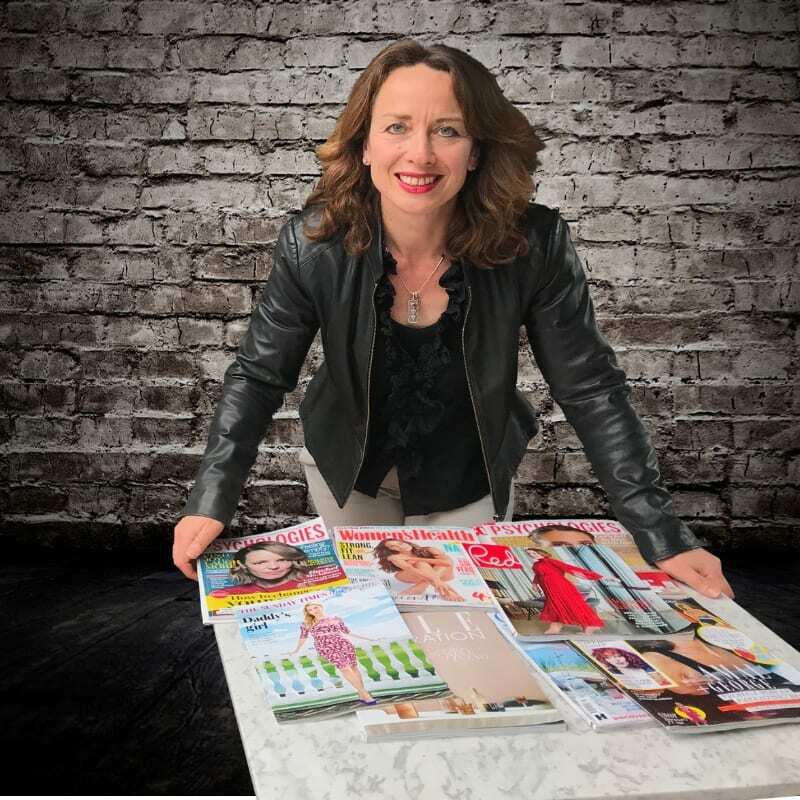 That is how I had my success – oh yes plus an incredible client who had wanted to be in the magazine for years, so she offered value to the magazine. P.S. When you get your article in Psychologies magazine please let us know in the PR Secrets group so we can congratulate you. Love this post Amanda – thank you for sharing all the glorious details <3. Brilliant article, packed with good solid advice, nice one Amanda ???? thank you Malcolm! Glad you enjoyed the piece! So much valuable information here. I hadn’t thought about pitching for this magazine, thought it was way out of my league – and I love it so very much – but now…! Hi Amanda, I’ve never thought about pitching to a magazine even though I probably should! So this post was really interesting. 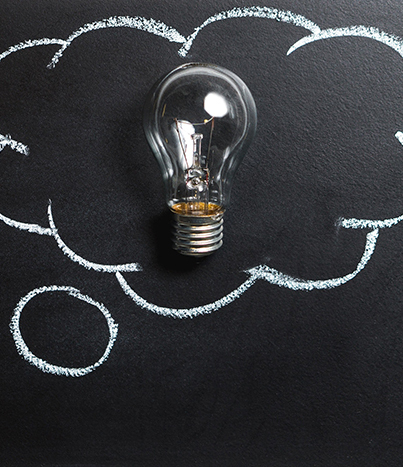 I love Psychologies magazine and yes it does feel like a ‘best friend looking out for you’ kind of magazine, so it makes sense that you need to get to know it like a best friend before you pitch. Hi Honey – yes you have hit the nail on the head with your BFF comment – I think Suzy would be very pleased to hear that. The magazine is so NOT judgemental, just helpful and informative and you don’t need to know the latest shade of pink lipstick to read it! Good luck with your pitch!!! Hi Carri – thank you for you comment, I am glad this is of use to you and your community. What do your peeps tend to do workwise? Thank you Amanda This is some great advice very clear and simple. I am going to give it a try! I work for a charity called Smart Works Reading and we help support women getting back in to the workforce , we would love to have an article in the magazine on our clients their change & confidence once they have been with us. I will let you know if I have success. Hi Sarah Did you manage to approach Psychologies? Would love to hear if you had any success as a result of the blog post! Thanks for sharing your wisdom and great tips, Amanda. I’ve been a Psychologies subscriber for years and am putting together my approach plan. Your guidance will come in very useful. Hi Caroline Thank you to reading my post, I am so glad that this will come in useful for you. LMK how you get on!